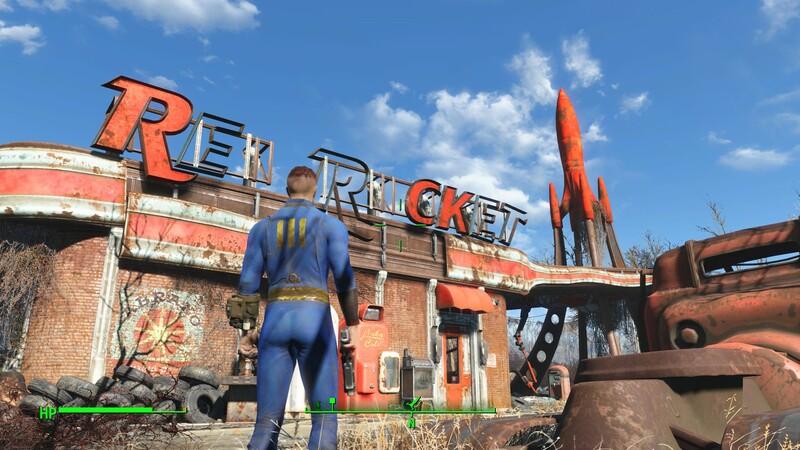 Fallout 4 Ultra Detail PC Screenshots have been leaked, showing us just how beautiful the upcoming game is. Read more on Fallout 4 and see some more Ultra Detail Screenshots. It looks.. kind of.. like half life 2 did when it was released? Forgive me but I don't really see what the 'wow' is? There's some nice lighting touches but Fallout has never been about the graphics really has it? I mean FO3 was just grey, some would say it's its charm. My experience of FO3 was traumatising, the only thing I liked was the era/feel you get from the civilization/society. TBH I think bethesda has specifically made the game to not be too visually impressive so that there is a good reason for modders to go full skyrim on this. Oh are they allowing that? yeah, but the modding/ creation kit will come a month or two after launch. I'd speculate the SDK won't be seen until February or thereabouts, but that's not a requirement to replace textures or models, at least it wasn't in previous titles but I don't think the file structure will have changed with this I would be very surprised if that was the case. It doesn't look great I will agree, allot of detail from some of the textures (Vault Suit is a good example) seems to have been lost between the E3 conference and release. Still could care less, this and the Elder Scroll's franchises are probably the only series of titles I will unquestionably buy and play to absolute death graphics be damned! That's a terrible attitude to have, they should make it as good as possible so the modders have to try even harder to make it look better. They are selling a finished product not an engine. If that was a genuine quote from Bethesda I would put them down for all of eternity.